Ah, US Airways, I will attempt never to fly with you. I haven’t so far, so I’m guessing it should be easy. A dispute over a precious violin on a US Airways flight on Sunday ended with a noted classical musician and her family spending the night on the floor of Phoenix Sky Harbor Airport in Arizona. The musician, Rachel Barton Pine, was leaving Phoenix on her way to her home in Chicago. According to Pine, as she boarded the plane a flight attendant told her that her 1742 “ex-soldat” Guarneri del Gesú would not fit in the overhead bin. “There was already stuff in the bins,” Pine said. “That being said, there was certainly room if a few people’s backpacks had been removed and the violin had been placed at the back of the bin,” with the other items arranged in front of it. “There was room for it but only with a bit of re-arranging, which they decided to not allow us to do,” Pine continued. The Guarneri could either be gate-checked or she could wait for the next flight. She chose the latter, and related the incident on Facebook and Twitter. 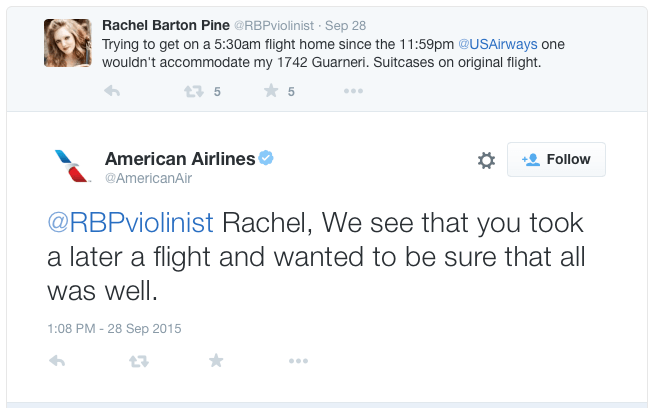 I love how, later, US Airways has the gal to tweet back to her. Amazing. Something New … Have a Listen! What fun to hear this work … I’m assuming it’s a recent composition. Some fine playing, too! Bravi tutti! Great News If It’s True! Air Canada has today announced a new break-through policy allowing a 50% discount for any customers who wish to purchase a seat to accommodate a musical instrument. The Canadian airline has also announced that all passengers travelling with musical instruments as carry-on luggage, will now be invited to pre-board ahead of general boarding to ensure convenient and secure stowing. 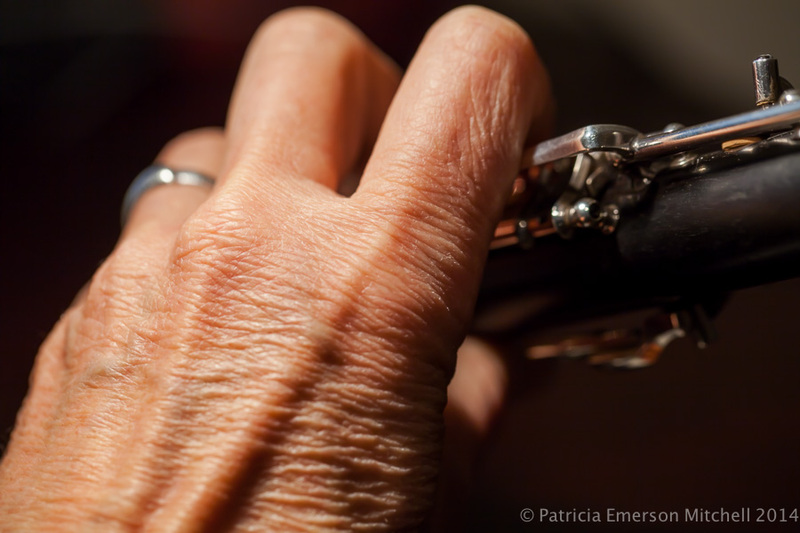 The announcement comes just months after Air Canada published a transportation policy forbidding violas from being brought onboard – and after an incident last year at Toronto airport where violin virtuoso Itzhak Perlman was abandoned by an Air Canada disability assistant. So we move on. I have the student start the first piece he says he’s practiced. Sometimes the very first note is wrong. Sometimes the student plays the wrong key signature. Nearly always it’s not pretty. None of that is a surprise: if the student begins by asking ME what he or she practiced, I don’t need google translate to tell me what that means. So … let’s talk honesty! The other issue with lying is that some actually start to believe it. I know that’s odd, but it happens. So don’t lie. Be honest with your teacher. Be honest with yourself. If you didn’t practice, it only does you a disservice to say you did. Even the best sight reader hasn’t managed to convince me that practice occurred when it didn’t. non-musician: wow ! that was really good! me: are you kidding me that was disgusting. This is such a common thing. We do something, get a compliment, and proceed to explain why we weren’t any good. This isn’t the way to reply. It’s easy. Practice it in front of a mirror until you get it right. In a surprising and possibly controversial move, the San Francisco Opera has named Matthew Shilvock, a longtime deputy to general director David Gockley, to lead the company when Gockley steps down at the end of July. He will be the seventh general director in the company’s 93-year history. In signing Shilvock, 38, to a five-year contract, the Opera has made a choice that emphasizes continuity in the company’s leadership over experience or a proven track record. Over the course of his decade in San Francisco, Shilvock has taken an active role in just about every aspect of the company’s activities, from artistic planning and labor negotiations to financial development and educational outreach. But this will be his first time at the helm of an opera company. He is currently the company’s associate general director. My aesthetic is oboe reeds that don’t sound like a strangled cat.